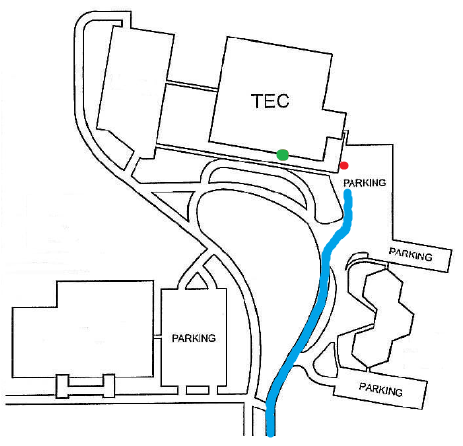 Once you have arrived on the RESA campus, follow the main drive (Blue line) until you reach the third parking lot on your right hand side. The Red dot on the map identifies visitor parking. Then proceed to the main entrance (Green dot) located directly south of the visitor parking. Once inside check-in with our Administration office on your left. The main office will then direct you to TEC Support.